There are 3 steps to sending EDI documents – Prepare the documents, Translate the documents into EDI format, Transmit the EDI documents to your partner. 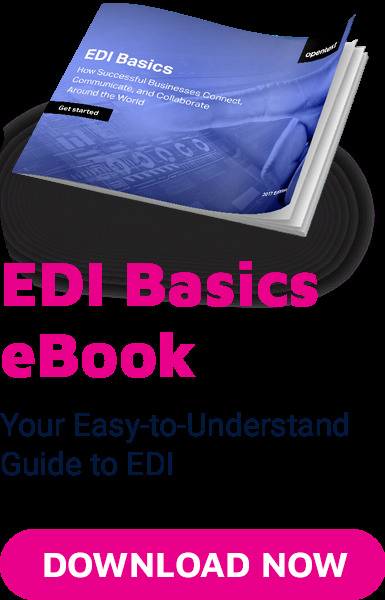 The next step is to feed your electronic data through translator software to convert your internal data format into the EDI standard format using the appropriate segments and data elements. You can purchase EDI translation software that you manage and maintain on your premises. This requires specialized mapping expertise in order to define how your internal data is to be mapped (i.e. correlated) to the EDI data. Translation software is available to suit just about any computing environment and budget, from large systems that handle thousands of transactions daily to PC-based software that need only process a few hundred transactions per week. Alternatively, you can use the translation services of an EDI service provider. In that case, you send your data to the provider, who handles translation to and from the EDI format on your behalf. Once your business documents are translated to the appropriate EDI format they are ready to be transmitted to your business partner. You must decide how you will connect to each of your partners to perform that transmission. There are several ways, the most common of which include 1) to connect directly using AS2 or another secure internet protocol, 2) connect to an EDI Network provider (also referred to as a VAN provider) using your preferred communications protocol and rely on the network provider to connect to your business partners using whatever communications protocol your partners prefer, or 3) a combination of both, depending on the particular partner and the volume of transactions you expect to exchange. To learn more about the various options, click here.